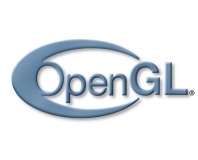 The Khronos Group has taken the to the stage at this year's SIGGRAPH conference to announce the launch of the OpenGL 4.1 specification, which the group hopes can give DirectX 11 a run for its money. Offering, according to the group, "the very latest graphics functionality" while continuing to "maintain full backwards compatibility with hardware and software designed to operate with earlier versions, OpenGL 4.1 includes a raft of new and shiny features for developers to get to grips with. First up is the inclusion of 64-bit floating-point vertex shader inputs which the group claims allows developers the option of higher geometric precision, while full compatibility between OpenGL 4.1 and the mobile-oriented OpenGL ES 2.0 APIs will allegedly make porting software between platforms that little bit easier. The theme of making developers' lives easier continues with the option to bind programs individual to programmable stages for increased flexibility, while the option to query and load binaries for shader program objects will, the group claims, save re-compilation time when changes are made. 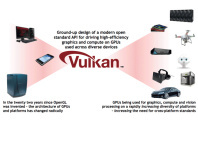 As is common with new OpenGL releases, the Khronos group has made an effort to ensure that as much of the new functionality is available as possible no matter how old your hardware: while the best performance will be from devices designed specifically around the new standard, older hardware can still take advantage of OpenGL 4.1. The release comes a mere five months after the group launched OpenGL 4.0, which Nvidia's Barthold Lichtenbelt claims "shows that collaborative innovation to build market opportunities for high-performance GPU acceleration is not slowing down." Lichtenbelt also told SIGGRAPH attendees that "Nvidia will release OpenGL 4.1 production drivers on our developer site for all Fermi-based graphics accelerators, including the GeForce GTX 400 series, during SIGGRAPH." AMD's Ben Bar-Haim didn't want to feel left out, and announced that "AMD is committed to open standards and to OpenGL and plans to support OpenGL 4.1 in an upcoming driver release," although unlike Nvidia failed to put a deadline on when such drivers might appear. Are you pleased to see OpenGL continuing to improve, or are you just waiting to see how good Nvidia and AMD's driver support is before cheering the standard on? Share your thoughts over in the forums.